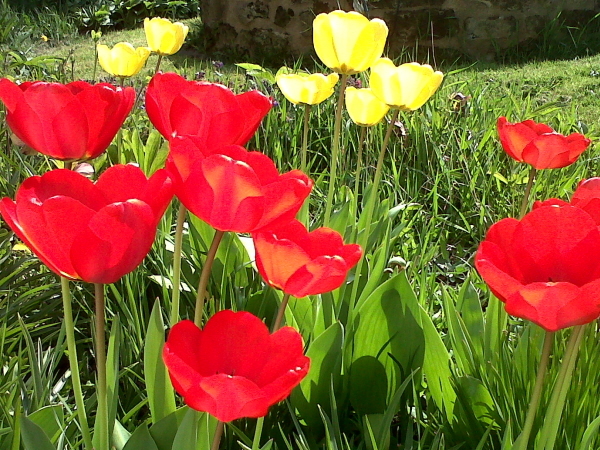 Most of the daffodils have faded and their colourful display is being replaced by tulips. We have several clumps just outside the kitchen window. 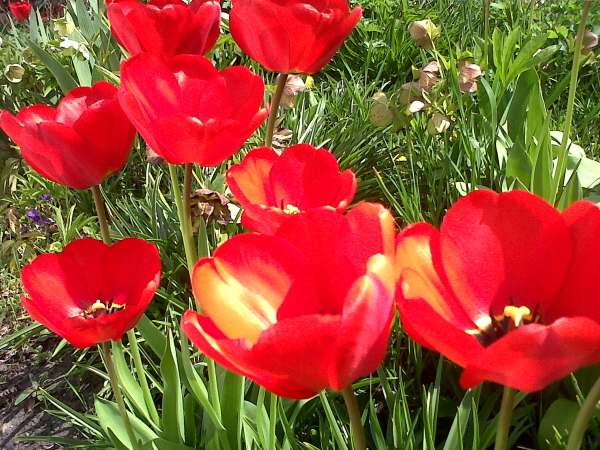 When the sun is out the red tulips shine with what seems like an inner radiance. It's quite difficult to photograph them. The camera picks up the sheen as bright yellow or white, whereas the human eye just sees a plain, even-toned red. Maybe it's to attract the bees which have different colour sensitivity to humans. Plenty of bees buzzing around this morning. Some seem to have set up home in the UPVC door frame of the utility room, where the cover for the hole in the plastic for fixing is missing.